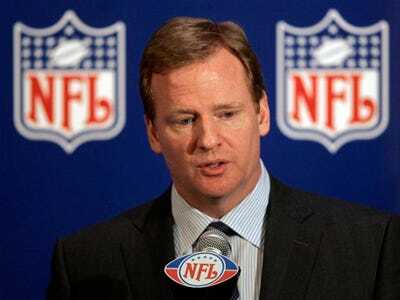 NFL commissioner Roger Goodell made a jaw-dropping $29.49 million in 2011, according to Daniel Kaplan of the Sports Business Journal. That includes a $22.3 million bonus. To put that in perspective, Drew Brees got the biggest contract in NFL history last winter and it pays him an average of $20 million per season. Goodell took over in 2006, and the NFL has been as popular as ever under his regime. He was paid $9.89 million in the 2010, but received a new contract last February that bumped his salary up to ~$20 million, Kaplan reported at the time.